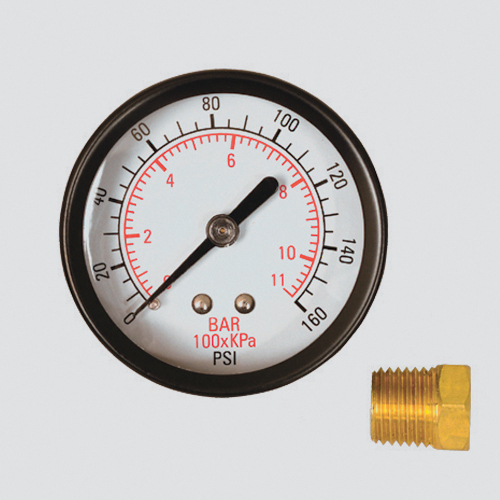 Utility dry pressure gauge for commercial and industrial markets. Constructed with a black steel case, chrome bezel, copper alloy internals, and a brass 1/8" male national pipe thread center back mount. Gauge includes a 1/4" x 1/8" reducer bushing. Meets or exceeds ASME B40.100 pressure gauge standards.